THIS ONE WONT LAST! BUILD YOUR DREAM HOME HERE. 1 ACRE PROPERTY WITH PANORAMIC MOUNTAIN AND DESERT VIEWS. 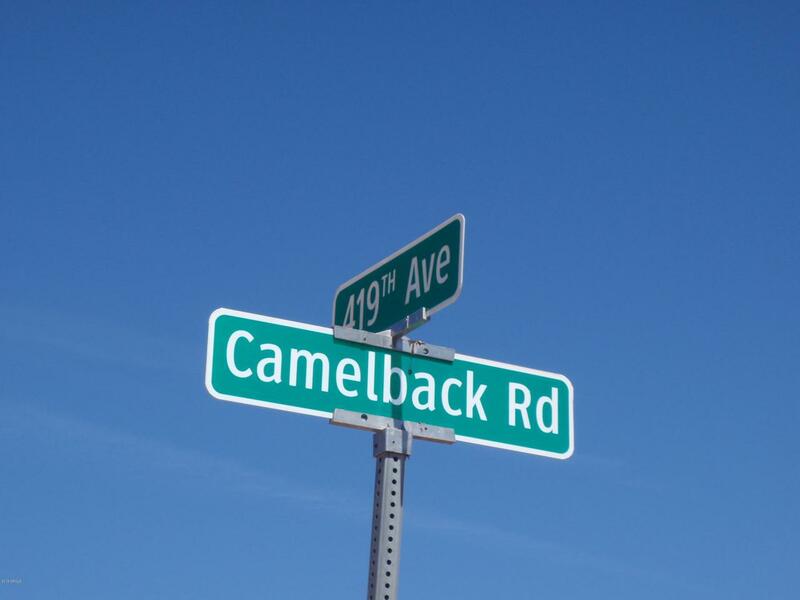 LOCATED IN TONOPAH, AZ NEAR BILL GATES PROPOSED BELMONT COMMUNITY!! ENJOY VIEWS QUIET, PEACEFUL, LOTS OF ROOM TO ROAM. BRING YOUR HORSES AND ALL YOUR TOYS. EASY ACCESS NORTH OF I-10. CHECK IT OUT! ** SELLER MAY CARRY** BUYER TO VERIFY SCHOOLS, ZONING / USE, UTILITIES, AND ALL PERTINENT INFORMATION. CALL NOW. THANKS!